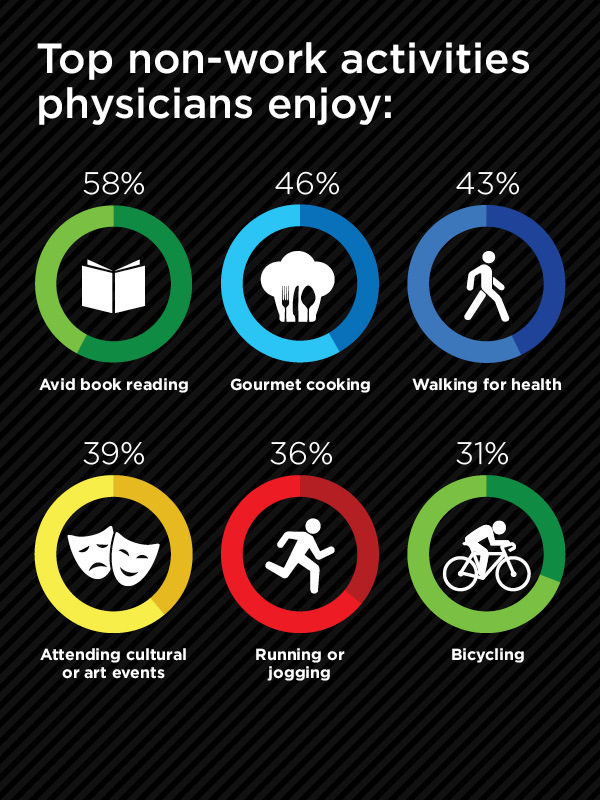 Results from a survey conducted by AMA Insurance have been released to show the most popular non-work activities that physicians enjoy. A quick glance at the image shows the most popular hobbies, but more can be seen in the article found here. Hey everyone! Please go check out the latest podcast episode covering Staphylococcus aureus. This is definitely a big one to know! It’s also one of the more complex organisms in terms of learning the different virulence factors, so it may take a few listens to get down the material. Don’t get discouraged! And remember that these podcasts serve as a supplement to your own materials. Hope this helps out with your studies! Also, if you could give a rating in the iTunes store that’d be great! Thanks! This video is awesome! Great explanation of the reason we experience pain, as well as the associated symptoms of childbirth and taking a shot to the groin. I’m by no means promoting that one is worse than the other. In fact, I gladly would give women the upper hand and say childbirth wins based on the duration alone. Regardless of your opinion, this is a pretty great video! 35% of participants met the criteria for “poor sleep”. Poor sleep was associated with atrophy of the frontal, temporal and parietalcortices. Further research will need to determine whether poor sleep is the cause of brain atrophy or a result of brain atrophy. However, such research could also shed light onto various diseases of cognitive decline. Take a look at this phenomenal presentation by Fatima Cody Standford, MD, MPH about her approach to patients struggling with obesity. Ultimately, each and every one of us is an individual, and what works for one person may not work for another. Patients should be approached with this concept in mind to develop a treatment that fits their individuality. Dr. Standford gives personal accounts of treating patients, emphasizing the detriment our personal bias can have on patient outcome. Unfortunately, obesity is a life-threatening condition, made evident by multiple stories discussed in this short video. There is something to be learned for everyone in this eye-opening talk. If you’re a fun of short medical stories, this is a simple and interesting read. Some stories are definitely more exciting than others, but medicine is a broad subject, filled with a variety of specialties. What one person finds fascinating, another feels completely uninterested. This book features stories published in a Discover Magazine column known as “Vital Signs”. The writers are physicians of varying specialties and bring excitement to the arena of numerous specialties. One important factor that I took from the book is confirmation of the importance of the patient history. Several life-saving diagnoses are made based on a single fact presented by the patient. The best part about this book is the format being numerous short stories. If you don’t have the time to read a large novel, check this book out to get your reading fix fulfilled. The website Accepted.com is a great resource for anyone looking to get into a graduate program. As you can see from the medicalminded.com home page, I was featured on their “Accepted Admissions Blog”. They are hosting a greater webinar opportunity for medical school applicants, so be sure to check it out! Can You Get into Med School with Low Stats? You are invited to attend Accepted.com’s upcoming webinar, How to Get into Medical School with Low Stats, a MUST-ATTEND event if you’re applying to med school with low GPA/MCAT scores! Register now to learn important strategies that will help you get into med school, even with low test scores or grades. Don’t let you your low stats keep you from pursuing your medical dreams! 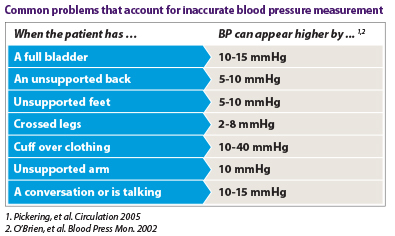 A recent AMA Wire article discussed seven ways to improve blood pressure readings. Although the factors may seem arbitrary at first glance, they have been shown to significantly impact results. Check out the article through the link above or at least give the following image a quick glance. Studying is Damaging Your Vision! Recent research indicates that studying may actually make your nearsighted! An article on the New York Times website provides the details, but ultimately, the more years of education a person completes, the greater their likelihood of developing myopia. Unfortunately, the article doesn’t list any ways to reduce risks of nearsightedness, so I guess all of us lifelong learners will just have to take our chances for now! 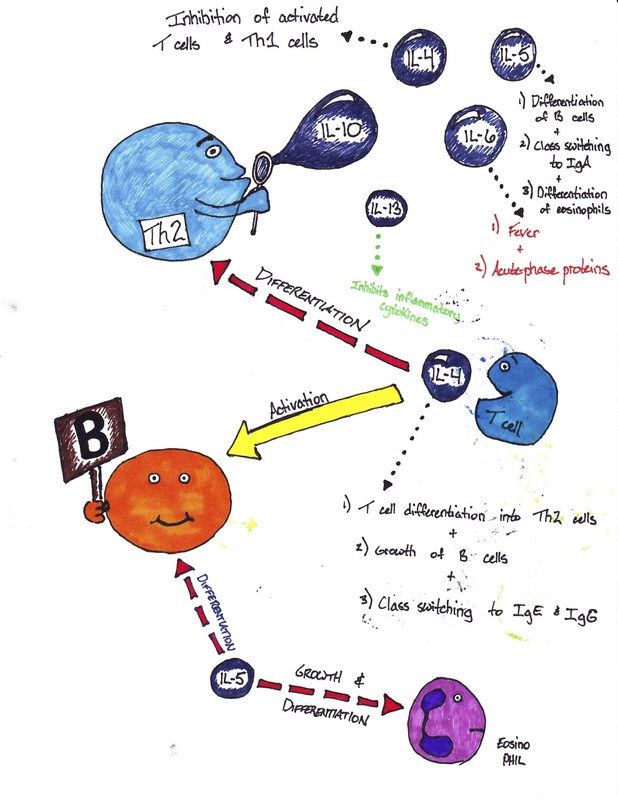 Here are a couple cytokines cartoons that I created during my immunology/microbiology course. I’ll include them in the resources page as well for future reference. 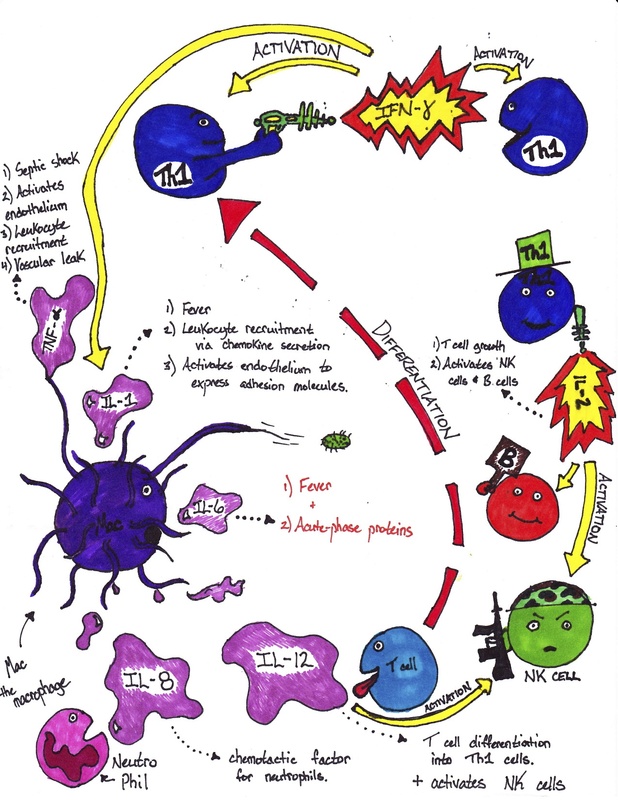 I understand you may find some variability in the functions of the shown cytokines, but I primarily used First Aid and BRS as my reference materials. These cartoons definitely helped make things stick for me so hopefully they help others as well!